A friend caught us taking pictures of this awesome view. One of my goals for 2015 is to go on more adventures - to see more of the world and explore new places. My first step towards realizing this goal was taking a trip to Denver last month with a few friends. Let me start by explaining how spur of the moment this trip was. My friends and I were at a bar enjoying each other's company one Saturday evening. Two of my friends had already booked their trip to Denver for the following weekend and were talking about their plans. Another one of my friends and I decided, in that moment, that we were going to join them! We got on our phones and bought our Southwest Airlines tickets while sitting at the bar! It was one of the craziest, yet best, decisions I have ever made. We arrived early morning, and spotted a drive through liquor store. Have you ever seen a drive through liquor store?! We hadn't so of course we had to stop! We then headed to a local park to hang out and play volleyball. Later, we decided to check out a couple of the downtown bars before calling it a day. Here are a couple of our purchases from the drive-thru! We started off our day with brunch, followed by a rainy hike at Red Rocks. The weather throughout the entire trip was a mix of rain, snow, and bits of sunshine. We bought rain jackets and didn't let the rain or snow slow us down! 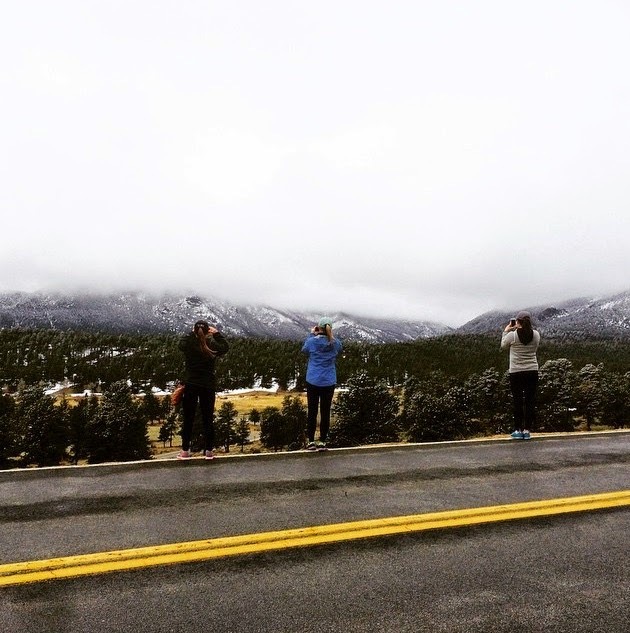 We woke up and headed to Estes Park to explore the Rocky Mountain National Park. This was by far my favorite part of the trip. The scenery on our hike was awesome! Look at all of that snow!! Just hiking up the mountain! The four of us decided that we need to make this an annual girls trip. I can't wait to see where next year's adventure takes us! And in case you were wondering if we had the absolute best time in Denver, I hope this one last picture helps answer that question! 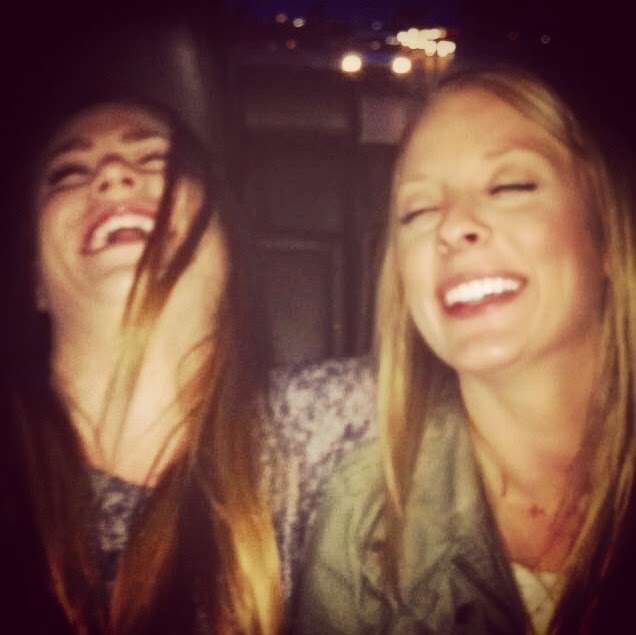 Erika and I getting a serious giggle session in! I love this whole post! Great breakdown of the trip. I especially love the first paragraph about how the trip came to be!